The last few chapters of the autobiography Growing Up Untouchable in India talks about the violence and protests that happened in India. In those chapters, Moon described about the movements and fights between Hindus and Mahars. He also said that many houses were destroyed due to the riot. Moreover, very few students went to schools, so some schools were closed. While reading these chapters, I remembered a protest that happened in my previous school. The protest was very violent, and many things were destroyed. Our schools also closed in the protest. I want to share that incident with you. I was studying in a governmental residential school, and I was in ninth standard. At that time all senior boys of the school wanted to make some changes in the school policy. For example, they didn’t like food of dining hall, so they want better food etc. However, the changes could not happen because of some reasons and teachers’ ignorance. Therefore, in the month of August in 2007, all boys started to make plans for the strike. On an evening, few of the radical boys threw stones in windows of teacher’s residence, and broke some benches of the classrooms. As time elapsed, the number of protesters increased. Around ten p.m. at night, they all assemble at the boys’ basket ball ground and started to scream and throw stone on windows. Because my house was situated in the second floor, so they couldn’t able to do harm to the windows of that house. Still, we were really scared. At that night, not any girls went to take dinner in the dining hall; however, at midnight, our house mistress took us to dining hall. When we were going to take food, some boys tried to throw stones on us, but, fortunately, no one of us got injured. After a while, when situation reached into an absolutely unbearable condition, our principal sir called to the police. Around 400 military officers came to protect the school and to alleviate the anger of the boys. However, they couldn’t make them quiet, so one of the members of the police fired three times in air. We are watching everything from the windows. By hearing the sound of bullet, some girls of standard six started to cry, so we make them understand that nothing was going to happen. However, the boys were really very adamant, and the firing in the air didn’t work on them. Laslty, somehow, they went to their house. In the morning, media people also came to our school along with some civil officers. At that time, the school was not look like a school. A number of police and media people were roaming around the campus. Those days are really very critical days for the school. It destroyed the environment of study because all teachers were very furious and didn’t want to take classes. I have noticed that many religious terms in the chapter “Religious Hymns” are implicitly written by the author. The reason behind this is that the writer assumes readers know about those festivals and cultures. However, this is not true for foreign readers as they are not acquainted with the Indian festivals. Consequently, they have difficulty understanding those terms. As an Indian, I tried to read between the lines, and I understand some of the terms. Therefore, I want to share them with you. Janmashtami — It is a festival for lord Krishna. Janma means to take birth, and ashtami means eighth day of a fortnight. This festival is celebrated every year in the eighth day of a fortnight in the month of August. On this day, lord Krishna was born in a prison. His maternal uncle put his mother, Devaki, and father, Vasudev, in the prison because once, he heard that Devaki and Vasudev’s son would kill him. Therefore, he kept them in the jail and killed every child of them. However, when their eighth son, lord Krishna, was born in the midnight, his father replaced him with one of his friends’ new born daughter. Lord Krishna lived in the home of his father’s friend and treated him as father. Later, when he grew up, he killed his maternal uncle and took his parents out from the jail. 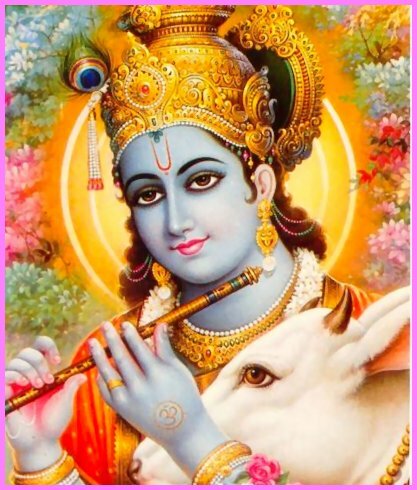 Lord Krishna had many qualities of god because he was one of the forms of god Vishnu. Therefore, many people treat him as a god and worship him. Some people also do fasting in Janmashtami. They keep idols of Krishna in their home and worship it in the midnight. After their fast ended, they put the idol of him in a river. The second thing is that the author has written, “Vitthal and Rukmini were in the inside room, and outside was a linga of Shiva and a stone of Nandi. The linga required leaves of bel, so outside the temple a bel tree had been planted” (Moon 41). 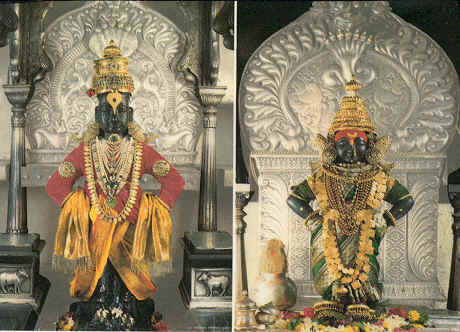 Here, God Vitthal is one of the forms of lord Krishna, and Rukmini is Vitthal’s wife. The linga was a symbol for lord Shiva, and Nandi is name of a Bull, who was vehicle for lord Shiva. Whenever, he went anywhere, he used to sit in the back of Nandi. Therefore, Nandi is also worshipped with lord Shiva. In addition, bel is a very sacred tree in the Hindu religion. Therefore, people put leaves of bel on Shivalinga. Some people also eat it to cure many diseases. In the chapter “Chickpeas and Parched Rice,” in the autobiography, Growing Up Untouchable in India, Moon tells the readers that his mother lied to the neighbors about making non vegetarian food. Since most of the people in that locality were vegetarian, Purnabai, Moon’s mother, couldn’t able to make non vegetarian food in her home. As she wanted to eat meat, once, she made it. However, when the woman, Baina, asked her by recognizing the smell of mutton, Moon’s mother replied, “‘I bought a jackfruit today’” (Moon 53). Moreover, Moon writes, “She would call fish the ‘vegetable of leaves and pods’ and say eggs were ‘potatoes’” (ibid.). According to Judith Viorst, this is a peace-keeping lie. She told the lie to avoid argument and keep peace. If she divulged the truth, its implication was bad. She might have to leave the place. According to Viorst, this lie is not considered as a fault; however, I think that she shouldn’t tell the lie. If anyone caught her making meat, she would have lost trust from the community. After telling the lie, she did two mistakes. First that she made non vegetarian food in her home; second that she told a lie to her neighbors. In this case, her situation after telling the lie would be worse than the first situation.Therefore, she should avoid telling the lie. Similarly, in the play “Death of a Salesman,” Willy told a lie to Biff. When Biff went to Boston to inform his father that he flunked math and asked for help, he saw the woman in his home. When he was confused to see the woman, His father told a peace-keeping lie to protect himself. He said, “Ah – you better…. They must finished painting by now. They’re painting her room so I let her take a shower here. Go back, go back. …This is Miss Francis, Biff, she’s a buyer” (Miller 44). Here, Willy told the lie to his son, so his son became angry at him. Consequently, he told “a liar” and “phony little fake” to his father (Miller 45). It also decrease Biff’s faith on his father, and he didn’t want to go with his father to meet with maths teacher. These two events exemplify peace keeping lies which can weaken the bond of relationship. Therefore, we always try to avoid telling lies. If it’s very essential, then we can tell lies, otherwise it’s immoral to tell lies because when the lie is caught by someone, its implications are very bad. Willy – I am going to commit suicide (holding seed packets in his hand). Ben – What?? What are you saying? Willy – Oh Ben, I am kidding. Actually I am frustrated that Biff didn’t get money from Oliver. Therefore, I have a clever plan to give him money to start his business. I am going to crash my car over the bridge. Then, I will jump on the water of the river, and escape from there. In this way, Biff will get the money of the car insurance and my personal insurance to start a business. Ben – No, you are not going to do anything like this. You know that you may lose your life. Willy – Ben, I know that nothing bad will happen to me. I have already made all arrangements. Willy (In very loud voice) – Ben, please listen to me. Linda – What’s the matter Willy? Why are you shouting? Willy – Nothing…, I have to go. One of my friends called me for dinner. Linda – OK, but please come soon after taking your dinner. I will be waiting for you. Willy (Starting his car) – (in very law voice) Sorry Linda, I am not going to come back. This was our last meeting. Biff – (in a sad, crying voice) Due to me, he died. Now, I will work hard to fulfill his dream. Mom, I will open a food restaurant, and achieve material success. Happy – I will also help you. Biff – Mom, Please give me the insurance money of the car. Today, I will start the business. Willy – It looks like a big restaurant. The woman – It is the best restaurant in the city. Biff – Pop!!! You are alive! Why did you leave us? Why haven’t you come home? Let’s go home. Mom is still waiting for you. Willy – No, Now, It’s too late. I am leaving with Miss. Francis since five years. Now, it’s not possible to go back home. Biff — Pop, Don’t take tension. She will also go with us. When I was a child, my life was a little bit similar to Vasant Moon’s childhood. Consequently, while I was reading the chapter “Heat and Rain,” I was reminiscing about my village and my village life. Similar to Vasant Moon, I also used to sleep outside in the veranda with my grandmother where stars were clearly visible. Around ten pm, my mother would come and take me inside the house. While I was sleeping with my grandmother, she would tell me the story of Dhruv tara, the North Star. The story is that Dhruv’s father, Uttanpad, was a king, who had two wives. One was Suniti and the other was suruchi. The king loved Suruchi more than Suniti. Once, Suruchi’s son was sitting on the lap of the king then suniti’s son, Dhruv, came there and began insisting to sit in his father’s lap. By seeing this, Suruchi ridiculed Dhruv. Therefore, to sit in God’s lap, Dhruv prayed to God for many years. Lastly, the God became happy with his prayer, and gave him the highest seat in the heaven where everyone in the world can see him. Since then the North Star, Dhruv, is located in the north side of the sky. However, as I am a girl, my childhood was not exactly the same as Moon’s childhood. I had some restriction; for example, as the classes finished, I would have to come to home directly from the school. However, the boys of my village were the same as Vasant Moon. In the summer, they spent their evenings beside mango trees. They threw stones on mangoes to get them. If someone saw them, they started to run away from there. Sometimes, some boys used to come to my garden to steal mangoes. In addition, similar to Moon’s village, some monkeys used to enter in our village. They damaged our tiled roofs, so we had to change our tiles to prevent the house from monsoon rain water. These monkeys often ate the mangoes from our mango trees, which annoyed me a lot. Furthermore, similar to Moon’s village, people of our village used to keep water in earthen pots to keep it cold for a long time. The water of those pots was very tasty. Moreover, some people had earthen houses which were cold in summer and hot in winter. However, in these days, everything in my village has changed, and natural beauty has vanished. Moreover, earthen houses are replaced by buildings; earthen pots are replaced by refrigerators. It seems that untouchables have very miserable conditions. They don’t have any right to touch the belongings of upper class people. If they touch anything, it becomes impure. It was true before 21st century. However, in the modern India, people’s ideas are changing. Upper caste people don’t have any problem to touch lower class people, who are also known as schedule caste or untouchables in our state. Now, on the contrary, many people want to be in lower caste to get the facilities that the government is provided only to them. Some people also try to make a fake caste certificate of schedule cast or schedule tribe. Today, we can see that many untouchable people are making better money than Brahmans. Read the folowing fictitious autobiography of a modern untouchable woman of India. After reading it, it will clear that how privileged they are. I am very lucky that I am an untouchable girl. As my caste is schedule caste (SC), I got many privileges since birth. When I was a child, I got free immunizing injection for different diseases. Moreover, in the school, I got free education with mid-day meal. As that was governmental school, teachers were not sincere enough. Still, I achieved good marks in the 10th standard due to my perseverance. Then, I had an economic problem to continue my higher education. My parents were very poor, so they couldn’t able to give money for my education. Therefore, some older people advised me to get married. However, my parents want me to continue my studies, so they told me to appear in an exam which provides full scholarship for education. Fortunately, I was able to get admission in the city college by the help of the scholarship, which was only for SC students. After completing my intermediate in the city college, I bought a form of All India Engineering Entrance Exam, which was not much costly for schedule caste students. After that I passed the exam in the SC reservation quota in which 30 % seats are reserved for schedule cast and schedule tribe students. One of my friends’ marks is more than mine, but she did not get admission because she was in general category. After completing my four years engineering studies, I became an engineer. Then, I got married with a wealthy person. Now, I am living a happy and prosperous life. This is possible because of the cast through which I got lots of facilities. The poem “The Road Not Taken” by Robert Frost described that the speaker was confused while choosing a path between two roads. He chose the second path, which was less traveled by people, and he was content with this decision. Similar to the speaker, many people face this dilemma in their lives. I also faced this dilemma in my life before coming to AUW. I want to share that story with you. When I passed my 12th standard, I appeared in three entrance exams. Two of them were engineering exams and the other was the entrance exam of Asian University for Women . Fortunately, I was able to pass all the exams. Therefore, I had two options. First was getting admission in AUW, and the other was in the rest two engineering institutes in India. In those days, I was facing trouble which career would be better for me. As I was more interested in taking science courses, of course, I wanted to go in one of those engineering institutes. However, AUW was also luring me since it is a well-known international university. Finally, I chose AUW, and I am very content after coming here. I never feel sorry that I didn’t choose the engineering college. I know that I am learning more here in comparison to an engineering institute. I found that many girls are studying here. My future is bright in both fields. And that adds more stars in my glorious life. Firstly, Agamemnon refused to ransom Chyseis, his prize, so Achilles said that if he returned the prize (a woman), all armies would collect and redistribute their prizes and he would get three or four times more than the previous one. Just think about the conditions of women in that age when women didn’t have any choice for their husbands. They were distributed like objects; anyone could take advantage of them. However, no one took action against their acts. Many goddesses could have removed this bad social practice, but they hadn’t come forward. Secondly, in our religious book Ramayana, the wife of Rama, protagonist of the story, had been kidnapped by Ravan, antagonist of the story. Therefore, there was a great war between them and Rama won the war. When his wife came out from Ravan’s prison, Rama said to give Agnipariksha (sit on the fire to make someone pure) to his wife. He didn’t believe his wife whether she was pure or not. If she had not been pure, then she would have burnt on the fire. At that time, his wife didn’t object to this, and silently sat on the fire to show her purity. If she had objected to him, many women would have gotten courage from that to fight against the discrimination and injustice towards them. These two incidents are not closely related to each other, but they give the idea that women’s conditions could have been better if our ancestors had taken actions against these customs. However, now women have the same positions as of men. They have made their positions in our society. The Joy Luck Club by Amy Tan is a very interesting novel. As we have finished reading the book, I want to write a short definition essay on this novel about what I learnt from this novel. The Joy Luck Club is a novel which tells us the relationship between Chinese mothers and American daughters. It tells us that the mothers are very altruistic. They sacrificed many things for their family, but the daughters are very selfish. The Joy Luck Club is a novel in which the writer has provided four different prologues. These prologues work as a guiding star to orient the readers and foreshadow the novel as signposts. The Joy Luck Club is a novel, which tells us about Suyuan and her daughters. Suyuan was fleeing from Kweilin due to fear of Japanese invaders. As a result, she lost her twin daughters, her first husband, her family members, and her home in China. Later, in America, she wanted to find her two daughters and finally they were found, but after the death of their mother. Moreover, the book also shows Jing Mei’s dedication to her mother. Lastly, Jing Mei did her mother’s unfinished work. She found her two sisters, and in this way the story ended happily. From this story, we learnt that we should try to fulfill our parent’s dreams. The Joy Luck Club is a novel, which teaches us to raise our voice and not to hide our tears. An-Mei and Ying-ying had taught her daughters to say clearly what they want, and not to hide anything. 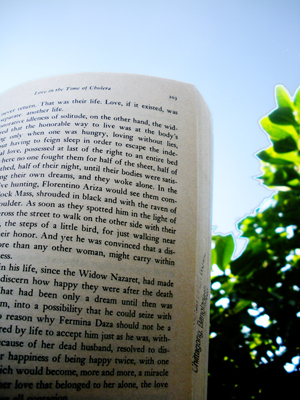 The Joy Luck Club is a novel, which has many morals. It taught me to obey and respect my parents. If I don’t respect and obey them, I will lose their supports. For instance, Waverly lost her favor wind, the support of her mother. Consequently, she lost her quality of playing chess. The Joy Luck Club is a novel, which teaches us to be an observant like Ying-ying. Ying-ying could perceive everything by looking at the evidence. For example, she had already seen that her husband would die, and it finally happened. We should also look at the subtle things so that we can take precautions. The Joy Luck Club is a novel, which teaches us how to write an interesting novel. Amy Tan has used seven different points of view in the novel, and she connected different chapters elaborately. I wonder how she got this idea. After reading her novel, I concluded that she is a very talented writer. She encourages readers to write a novel in different points of view and connect different chapters together.